When I met Tenzing Dorje Sherpa one morning at Khonar Pastureland at Khumbu village, he was lighting incense stick inside his cow-shed. I asked why, and Tenzing said worshiping local God and snow leopard helps protect local livestock. Serken (Snow leopard in local name) is a symbol of God. “Our ancestor worshiped snow leopard to reduce livestock loss”, he says. Herders in every cow-shed at Khonar worship local God-Goddess and the snow leopard that way. Khonar pastureland is a 30 minute walk from Phortse village under Sagarmatha National Park. Thirty-one cow-sheds have been built and scattered in the pastureland. “Currently we have 80 livestock from seven households”, Tenzing explains. Tenzing recalls the killing of his 4 years old Yak during winter in 2013. The Yak was chased by the Snow Leopard down hill. He later found Yak’s hair scattered around the ground and snow leopard’s pug marks. That made him sure the predator was a snow leopard, not a wolf. Owner of 3 female Yak, 3 male Yak, 1 Ox, Tenzing thinks that predators can be anywhere during grazing so everybody must be alert. “So that you can protect your livestock”, he says. Having spent 21 years working with expeditions, Tenzing has extraordinary experience of Everest summit. During the Spring and Fall-season, he works as helper and climbing porter. “During the winter, I spend 2 months at villages, rest of the time in the pastureland”, he tells. During the expedition and trekking, Tenzing has encountered snow leopard 3 times. “First I saw three years back at Daphutichiwa pastureland and it was adult male”, he says. When he saw second time in 2013, it was again at Daphutichiwa. However the scene was extraordinary. “It was because there were 4 snow leopards near by the local well and there were 2 adults and 2 cubs walking one after another”. Two years back only, he came upon another snow leopard at Gingyo pastureland and it was in front of his cow-shed. Tenzing tells that his cow started shouting one evening. He came hurriedly. “An adult Sherken (snow leopard) was killing one of my cows”, Tenzing explains, “Tail was as long as it’s body size”. This time he encountered only from 10 meters distance. “He was looking at me so angrily as if he was going to jump at me”, he tells. 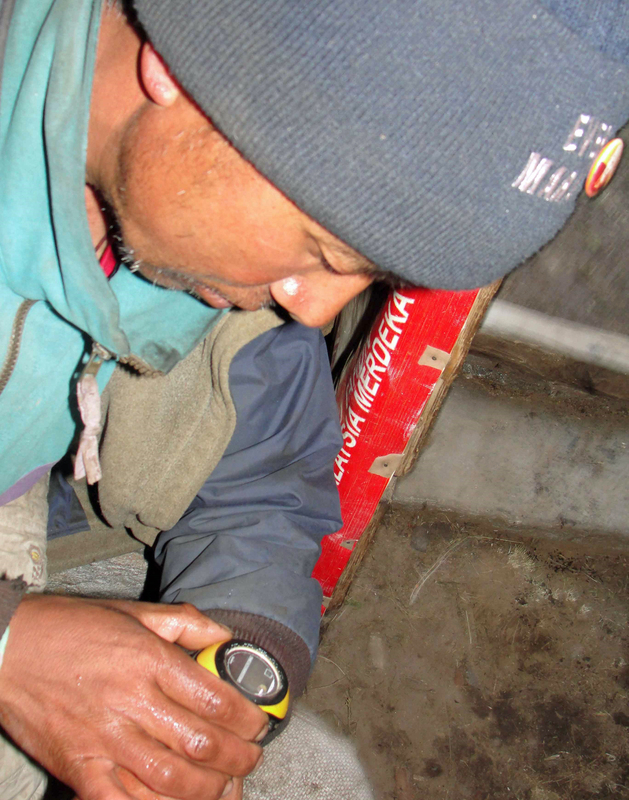 Like Tenzing, many people in Phortse village have snow leopard stories. Tenzing had built his cow-shed 10 years ago. It cost him 160,000 Rupees ($1600). He continues, “Now I am thinking to upgrade it through using loan from khumbila saving and credit management group. Tomorrow my son will sustain this culture”, he says, “It was my son who insisted to build this shed”. 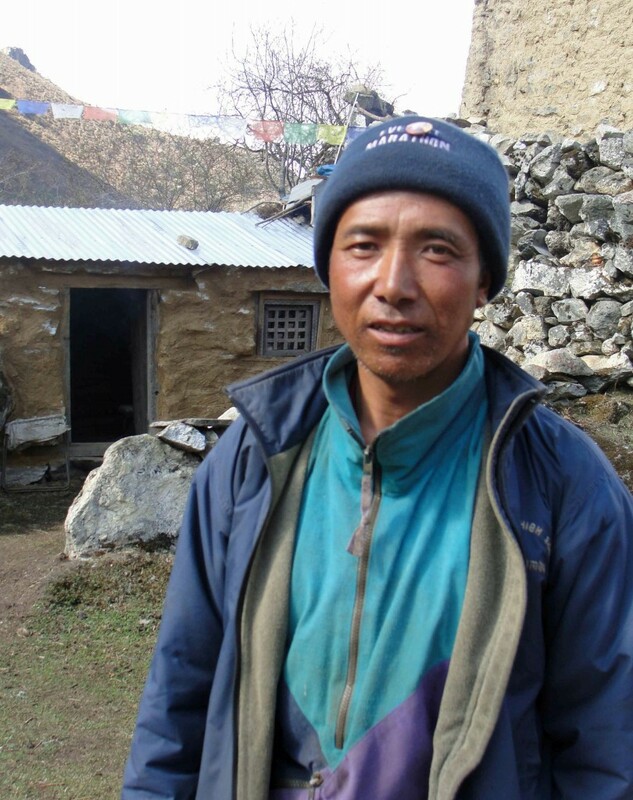 His 21 year-old son has summit Everest twice. “Phuratashi of my village has summit 21 times while in Phortse, every house has Everest climber.” Tenzing receives 200,000-300,000 Rupees for one expedition. Expedition is one of the major sources of his living. “However I am thinking to carry out optional business using group fund”, he says, “It has less risk than climbing”. He thinks that a saving and credit initiative under Snow Leopard Conservancy has helped locals to start talking about snow leopard as well as compensate for livestock loss. “It has good influence not only among villagers but outsiders too”, he says. While household jobs were being distributed at home, Tenzing got the task of looking after cattle. “This is what I enjoy”, he smiles and says, “Running after cattle is easier than doing household job. It is enjoyable because you encounter wildlife and see animals jumping in the grassland”. Every morning, Tenzing gets up at 5:00. He makes tea and leaves his livestock in the jungle. While drinking tea, Tenzing eats Champa (a kind of parched grain). For lunch, he eats rice and lentils. For the dinner, he eats boiled potato. During the off season there is food scarcity in the grass land. 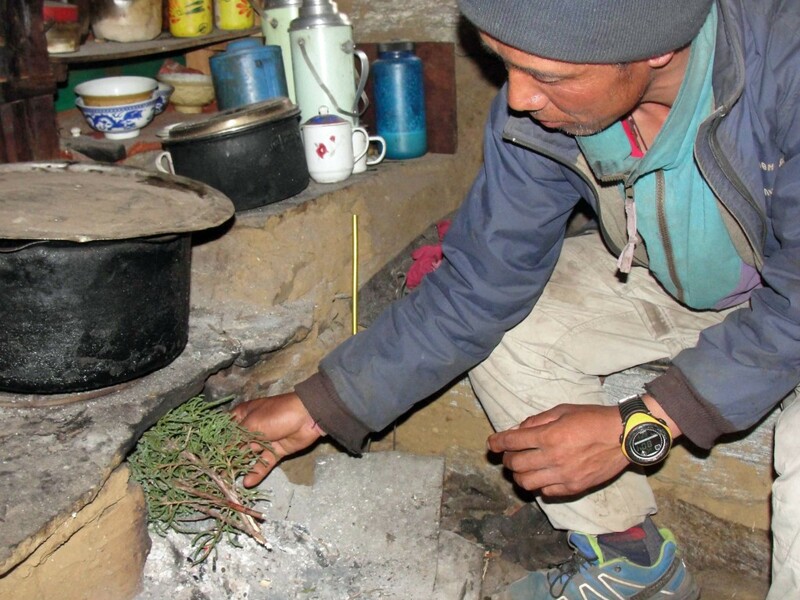 He stores grasses and feeds it to the cattle along with Tibetan tea. “People say that Tibetan tea is good for their health”, he tells. Even though Snow Leopard kills numbers of livestock every year in Khonar, Tenzing does not have anger in his face, neither has any hard feelings inside. “We have to live together because earth is the common place for human and wildlife”, he tells at the end.